Click here to DONATE to support the care of An Awesome Deputy - ADOPTION PENDING! Deputy is doing very well in training and is sound for any discipline including jumping. On a scale of 1 to 5 with 1 being Calm and 5 being Spirited, An Awesome Deputy - ADOPTION PENDING is a 4.00. Deputy is doing well in training. He can be spicy but not mean. Deputy does well under saddle in training and can jump. He is sound for any discipline. Where is An Awesome Deputy - ADOPTION PENDING located? 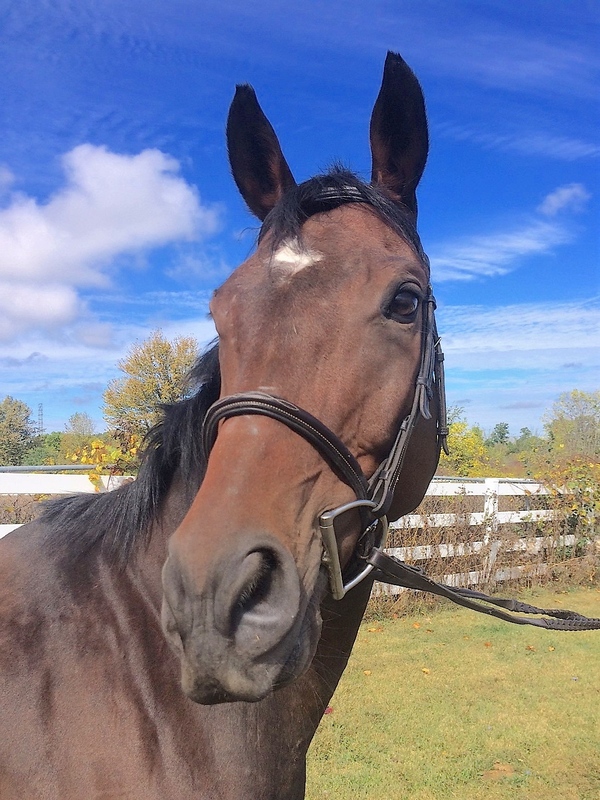 An Awesome Deputy - ADOPTION PENDING is located at Willowbrooke Farm, 7461 Brookville Rd., Plymouth, MI 48178. Horses do not have assigned stalls in the structure(s). Every potential Adopter must complete a Buyer Approval Form that includes information on riding skills, horse care experience, use of trainer, details on the location where the horse will be boarded, vet and farrier references. The adopter visits the training facility for Canter thoroughbreds, meets with the trainer who assesses the adopter's horse knowledge and riding skills, and if comfortable, will monitor the adopter riding the horse to ensure a good match between horse and adopter. The adopter pays an adoption fee and signs a lifetime Bill of Sale to adopt the horse which prohibits the horse from racing, being sold at auction, and gives Canter first right of refusal if the adopter needs to re-home the horse in the future. Our organization provides equine-assisted activities and/or therapies (EAAT) for individuals with special needs but does not use certified instructors, specialists, therapists, counselors, trainers and/or facilitators. Canter solves the problem of unwanted thoroughbred racehorses. They do not run fast enough or become injured. Racing owners/trainers want to remove them to be replaced by a faster horse. Canter volunteers work with owners/trainers to help them find non-race homes by taking photos, videos, descriptions and advertise the horses on Canter's website. Canter will take thoroughbreds into its program of rehab, retrain, rehome and provide rehab, xrays, veterinary care, farrier attention, retraining for a new career, marketing and adoption into Canter-approved homes. CANTER works with Michigan State University Veterinary students to help expand their education by allowing Vet students to assist with all aspects of arthroscopic surgeries on injured thoroughbreds. Because of the CANTER program at Michigan State University, the Equine Program in the College of Veterinary Medicine is one of the best in the country as it provides unique educational opportunities for veterinary students. Canter Michigan participates and supports equine therapy programs through Banbury Therapeutic Riding and its annual Show where riders demonstrate on horseback their achievements in balance, commands, following instructions. Each rider is given an award by Canter volunteers. Canter holds special events involving public participation where information is shared about the abilities of thoroughbreds and success in retraining as they are equine athletes, intelligent and willing to please. The public sees thoroughbreds in training and talks with riders, trainers and adopters of Canter thoroughbreds. The public realizes the need for Thoroughbred rescues like Canter and gains new admiration for the achievements of thoroughbreds. 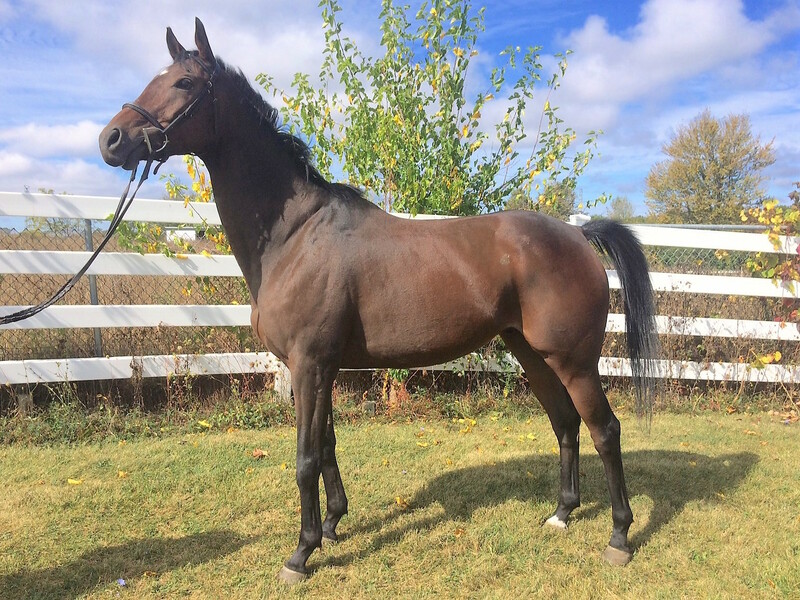 Many will pursue adoption of a Canter thoroughbred and offer financial support to Canter to continue the program. Canter works with Michigan State University Veterinary students to help them achieve an advanced education as they assist with all aspects of surgery on injured Canter thoroughbreds - diagnosis, surgery preparation, anesthesia, arthroscopic surgery, recovery and post surgery care. Canter focuses on Thoroughbreds off racetracks that become unwanted racehorses because they are not fast enough or are injured and must be quickly removed from racetracks so they are not sold for slaughter, sold at auction or given away making them face an unsafe, unhealthy and uncertain future. Canter takes injured thoroughbreds and provides life saving surgery followed by months of rehab then retraining, marketing and adoption into Canter approved homes. Many Canter thoroughbreds have only lived at racetracks. They do not know how to graze, have not lived in a herd or lived on a farm. They are slowly introduced to these new things and closely monitored. They quickly adapt to farm life and enjoy individual attention as they begin training on a lunge line then under saddle. Farms utilized by Canter are active with riders on privately owned horses. They give hugs and treats to Canter thoroughbreds. The horses respond very well. Boarding and Training agreement between CANTER and Willowbrooke Farm dated 12/20/2015 with no end date. CANTER may terminate the agreement with or without notice at any time. The agreement may also be terminated at the request of Willowbrooke Farm. 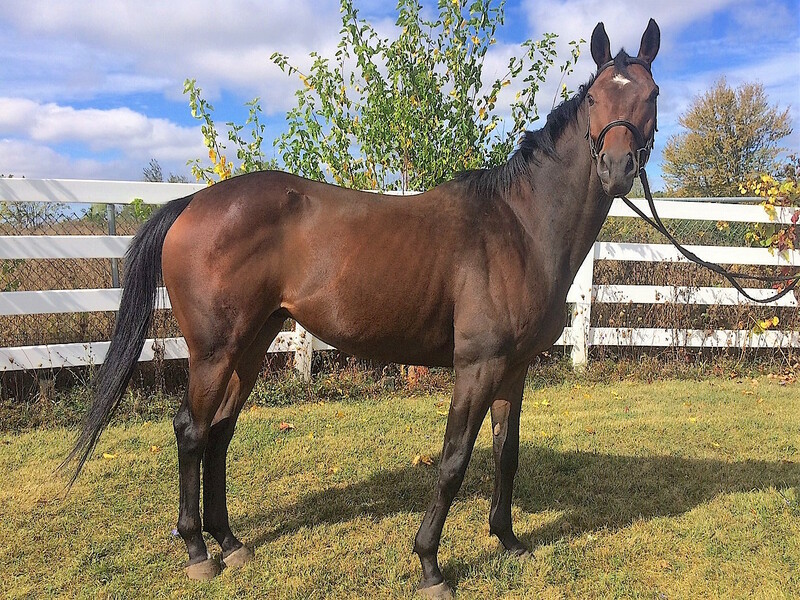 Farm Owner, Trainer Jennifer Blades assesses each thoroughbred for its potential career and begins basic training on a lunge line then under saddle in walk, trot, canter and jumping cross poles. If the OTTB has the interest and potential to be a jumper, training advances to an indoor arena jump course and outdoor jump course. Jennifer Blades donates her time and talents to CANTER in marketing horses through photos and videos posted on Willowbrooke Farm Facebook, shared by Canter Michigan Facebook. CANTER horses at Willowbrooke are featured in frequent flyers that are created and distributed throughout the equine community. CANTER pays Willowbrooke Farm $575. to $775. monthly for board, daily care, feed and training, depending on the daily needs of the horse, but does not pay for evaluations or minor treatment required, marketing of CANTER horses, meetings with potential adopters or time spent on paperwork. Jennifer Blades arranges regular veterinary and farrier visits for CANTER horses. Coordinating with the vet, Jennifer Blades ensures that all horses are up to date on vaccines, dental care and have proper shoes for training. Boarding and rehabilitation agreement between CANTER and Wood Show Horses Farm dated 2/15/16 with no end date. CANTER may terminate the agreement with or without notice at any time. The agreement may also be terminated at the request of Wood Show Horses. Cathy Wood provides rehabilitation to CANTER horses recovering from surgery at Michigan State University. Cathy Wood has the ability to transport horse to and from MSU. 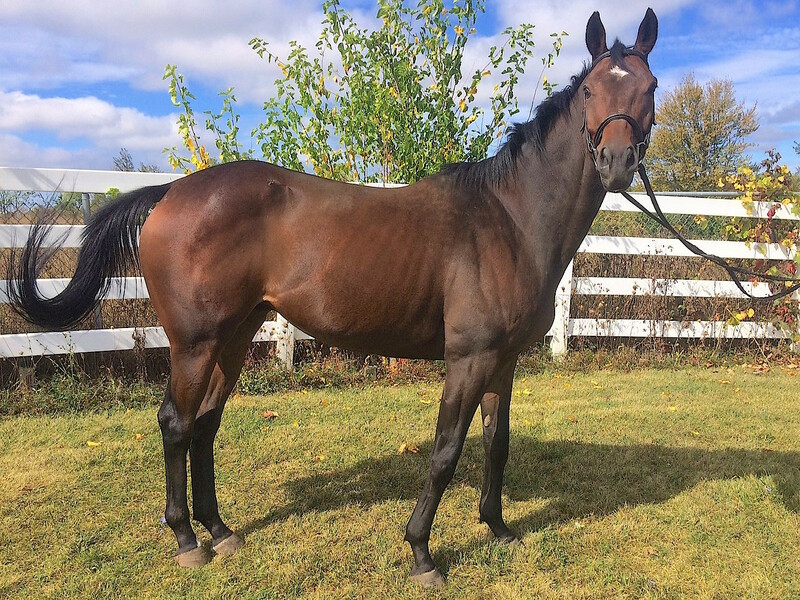 Her farm is located near MSU and she can be in contact with the equine surgeons at MSU to answer any questions about the recovery of the horse. She follows MSU discharge papers which include frequent bandage changing, medications, evaluation of the surgical site, assessment of infection, changes in eating and overall recuperation of the horse following surgery. The horse is on stall rest for a minimum 30 days with daily hand walking 5-15 minutes. The 2nd and 3rd month of rehab, Cathy can turnout the horse in a small paddock. Cathy will advise CANTER, and a vet will confirm thru examination, when the horse is ready to be transported to a CANTER training facility to begin retraining for its new career. Canter has a boarding and Horse Care agreement with Coyote Creek Stables as of January 29, 2018 with no end date. Canter may terminate the agreement with or without notice at any time. The agreement may also be terminated at the request of Coyote Creek Stables. Denise Fullhart, owner of Coyote Creek Stables and a rehab specialist and trainer works with equine veterinarians at Michigan State University. She has the ability to rehab Canter thoroughbreds that had surgery, transport horses to and from MSU for any followup care or assessments. Denise may consult with MSU veterinarians on healing and rehab of Canter thoroughbreds. Additional information about this instructor: Cathy Wood does not train Canter thoroughbreds but is a rehab specialist for post surgery horses. Additional information about this instructor: Denise Fullhart does not train Canter thoroughbreds but is a rehab specialist for post surgery horses. Briefly describe the nature/level of the certification: Jennifer Blades is a certified instructor for the University of Michigan Equestrian Team as well as private riders by the US Hunter Jumper Assn. Provide the name of the certifying organization: MHJA Michigan Hunter Jumper Assn. Briefly describe the nature/level of the certification: Jennifer Blades has been a member of the Board of MHJA. She and Willowbrooke Farm host schooling and recognized Hunter and Dressage Shows along with IHSA and IEA shows. Additional information about this instructor: Jennifer Blades is a Coach of the University of Michigan Equestrian Team. She and Willowbrooke Farm host the Girls Town Program for 12-16 yr.old girls living in homeless shelters in the inner city, in which they learn about horses and ride them. Jennifer Blades and Willowbrooke host Summer Camps to enrich and enhance horse riding experiences. Jennifer Blades has ridden and shown nationally with numerous wins and championships. She qualified for State Finals and won several gold medals. She now enjoys training CANTER OTTBs, and matching them with riders, as she mentors and trains them to compete. Many students have won national championships and medal finals at all levels of shows throughout Michigan and the Midwest. Willowbrooke has riders and former CANTER horses entered in the annual RRP (Retired Racehorse Project) in Lexington, KY, in October. She believes in continuing education and has attended and participated in trainer symposiums in Wellington, Florida.